Old Earth Creationist and Christian astronomer Hugh Ross has argued that a new scientific study into the stages of Earth's formation aligns with the creation story in Genesis in the Bible, particularly when it comes to day four and the light in the sky. "A new research study published in Astrophysical Journal affirms that a haze was at least partly responsible for the pervasive translucent skies that shrouded Earth during the first part of its history," Ross wrote on his Reasons to Believe website on Monday. "Genesis 1 and other biblical passages also describe the early atmosphere as hazy and clouded. The same study demonstrates through a series of experiments how Earth's atmospheric haze lessened greatly," he added. The study, published by The American Astronomical Society in May, explains that it investigated "the effect of O2 on the formation and composition of aerosols to improve our understanding of haze formation on the Neoproterozoic Earth." It noted that that the presence of oxygen-bearing molecules and nitrogen fixation also played a role on the energy balance and climate on the planet — something which, as Ross points out, is mentioned in Genesis. "On creation day 4, when God said, 'Let there be lights in the expanse of the sky. . . . They will serve as signs for seasons and for days and years,' He transformed Earth's atmosphere from translucent to at least occasionally be transparent," Ross suggested. "This would allow the animals God created on creation days 5 and 6 to see the positions of the Sun, Moon, and stars in the expanse of the sky and use those positions to regulate their biological clocks." The astronomer, who has a Ph.D. from University of Toronto, and is also a pastor, has published several books exploring how science and scripture align in their explanation for the creation of the world. While supporting the creation story in Genesis, he has also critiqued Young Earth interpretations that insist that the Bible refers to six 24-hour days of creation. As Ross points out, the study in the Astrophysical Journal analyzed the lack of oxygen as a cause of Earth's atmospheric translucency. "The combination of denser haze and greater cloud cover previous to 580 million years ago means that whereas the light would penetrate to Earth's surface, it would not be possible for surface-dwelling creatures to discern with sufficient accuracy and frequency the positions of the Sun, Moon, and stars in the sky," he wrote. "This circumstance poses no problems for life previous to 580 million years ago since such life (microbes, algae, fungi, bryophytes) do not require knowledge of the positions of the Sun, Moon, and stars." 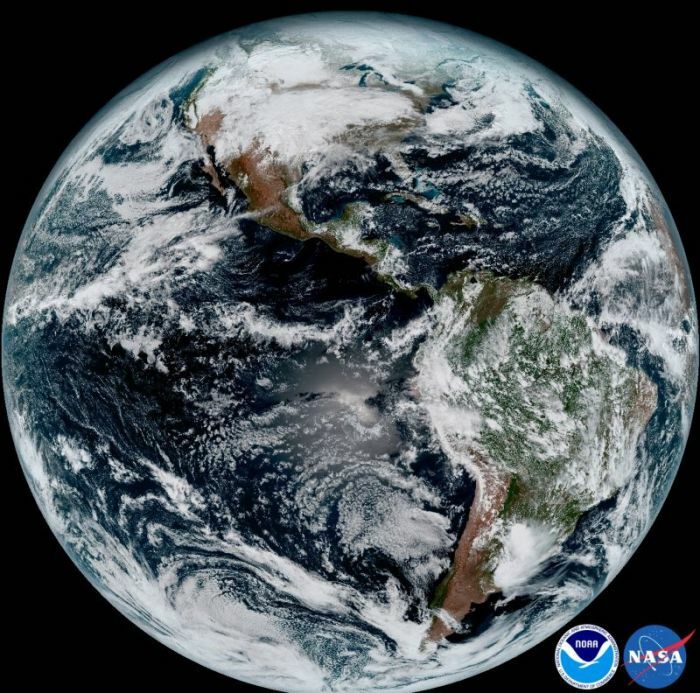 The Old Earth Creationist argued that the study "affirms the creation chronology in Genesis 1: Earth's atmosphere transitioned from translucent to frequently transparent on creation day four, just before God created Earth's first animals on creation day five." "The study provides yet more evidence that the more we learn about nature and its record the more we accumulate sound reasons to believe that the Bible is the authoritative, inspired, inerrant Word of God," he said. Dan Delzell, pastor of Wellspring Church in Papillion, Neb., pointed out in an op-ed for The Christian Post in March 2017 that many Christians remain divided on exactly how long were the days of creation. "Many Christians believe in a young earth, while many other Christians believe in an old earth. And some like myself believe you cannot accurately put an age on the earth. And that's OK," Delzell wrote at the time. "You are not sinning or dishonoring God by believing that some or all of the days in the first chapter of the Bible were 24-hour periods. Likewise, you are not sinning or dishonoring God by believing that some or all of the days cannot be measured in hours or minutes. Anyone who tells you otherwise has lost sight of the big picture, and has chosen to become contentious over a secondary issue."